Miracle Recreation Canada is your solution if you want thrilling playground equipment that goes beyond the ordinary. For years, Miracle Recreation play structures have been known for their innovation and excitement. If you want something beyond the usual play space, look to Miracle Recreation. Inclusive Playgrounds. Designed to allow all children to play, inclusive Miracle playground equipment is designed so children of different ages, mobility levels and skills can do just that. With these pieces of equipment, everyone will be excited to take part because each piece is cool and fun. They’re not just designed to be safe or accessible — although they’re those things, too! Playground Components. If you want to build your playground in phases or just add a little Miracle Recreation magic to your playground, you can buy individual equipment. This can also be a great choice if you want a custom solution and want to put together your own playground ideas. Site Amenities. 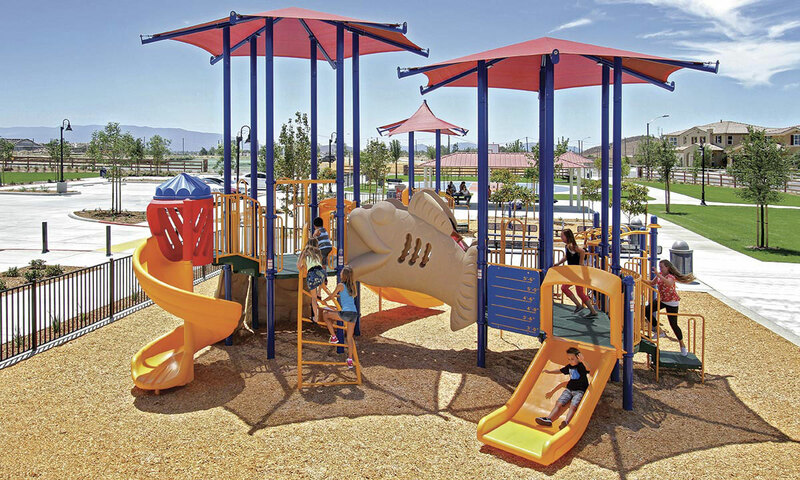 Miracle Recreation is a one-stop solution, and they even allow you to buy picnic benches, bike racks, fire rings, grills, litter containers and everything else you need to create a play area. Fitness Equipment. If you want to add a little fun to your playground while encouraging fitness and exercise, Miracle Playground has a range of options designed to appeal to many ages. Freestanding Play Equipment. Spring riders, swings, slides and other freestanding equipment is a great way to create a separate play space or to build your playground in phases. Themed and Custom Playgrounds. Themed playgrounds create a coherent look and spark children’s imaginations. If you have a specific idea in mind, Miracle Recreation has a whole design team to make your ideas a reality. Check out offerings, then come back to request a quote! Water Playgrounds. Miracle has pool slides and other play structures for water fun, so kids can make the most of Canadian summers. Want to learn more about our Miracle Recreation equipment? Get a custom quote today! Why Choose Miracle Recreation Playgrounds for Your Play Space in Canada? Miracle has more than 86 years of experience in playground equipment and has helped thousands of kids enjoy creative and fun play spaces. All those years in this business have meant Miracle has seen it all, and has even been at the forefront of developing new and innovative products. In fact, if you want something with a little more excitement and “wow” factor than your traditional playground, Miracle is a fantastic choice. Miracle play structures also deliver on quality. With ISO 9001:2000, TUV Product Service and IPEMA certification, Miracle partners with some of the best-respected associations in the industry to achieve the highest standards for safety and quality. In addition, Miracle has one of the most comprehensive warranties in the industry and is committed to creating sustainable playgrounds. Take the next step towards building your dream playground, and contact us about Miracle Recreation playgrounds today!